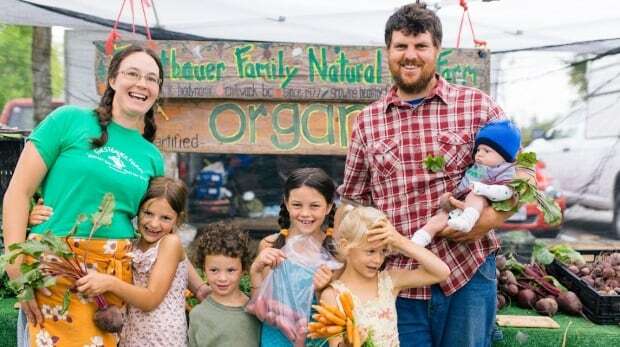 B.C.’s small farms are booming, despite market and climate challenges, according to this article from CBC News. 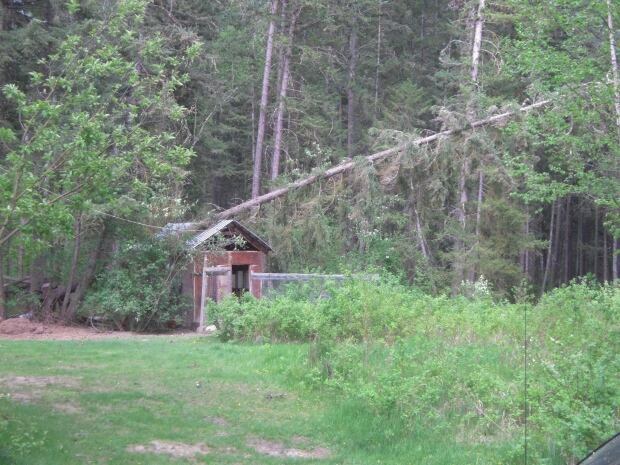 High winds slammed a tree into Paul Dumais’ chicken coop Tuesday while he was collecting eggs inside, sending a shudder through the walls of the shack south of Quesnel B.C. — but the chickens survived. “I just froze till the shaking stopped,” said Dumais, a farmer of 30 years who has weathered a few storms. He and his wife run one of 7,100 small farms in B.C. which rely on the farmers’ markets to sell their goods. While the Dumais farm is thriving today, success can be a delicate balance for small-scale farms. A hit of bad weather means sudden disaster is never far. Add to that, fickle food consumers and ever-increasing competition — there are now 147 farmers’ markets province-wide. That may not seem like a lot, but it’s a record number for the province, and according to officials with the B.C. Farmers’ Market Association, more than they’ve ever had in years past. “It’s a farmer’s life. Always trying to get one up on the neighbour,” said Dumais, who markets everything from peppers to preserves at farmers’ markets and through a box delivery program. 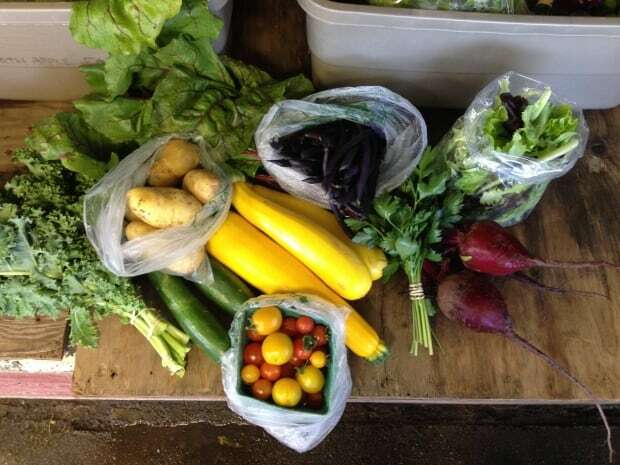 Despite the challenges, small farms are on the rise in this province. 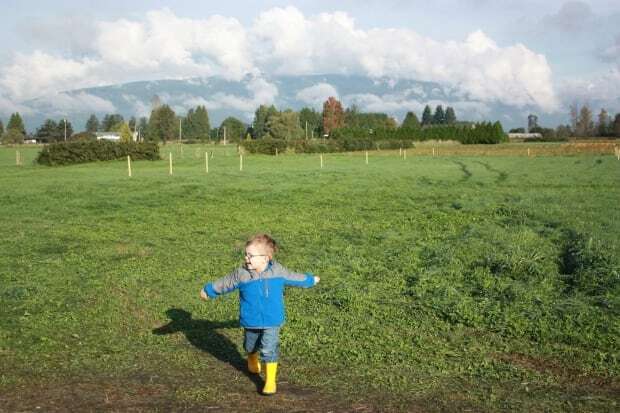 According to 2016 census data released earlier this month, small farms now comprise 40 per cent of the total number of farms in B.C. — more than twice the national average. Nationally, small farms accounted for 17.7 per cent of all farming operations. Still, small farming can be a perilous existence. Weather is the biggest reason small farms can flounder. This spring, the B.C. growing season was delayed by cold — by three weeks for some crops. Record snowfall last winter collapsed greenhouses, killed early plantings and even stopped some crops from getting to Vancouver markets. The roads were so bad that some in cases trucks couldn’t get the produce to market. Reinsborough credits community kitchens in New Brunswick with helping people access nutritional food. “It’s people coming together to cook good, local, healthy food and making sure many people are gaining access to it,” she said. Rain then flooded fields in parts of the Okanagan and forced many farmers to replant root vegetables that were wiped out. Even with lots of sun and healthy produce, sometimes there just aren’t buyers. That’s because farmers have to guess what will sell a year in advance when they plant their crops. 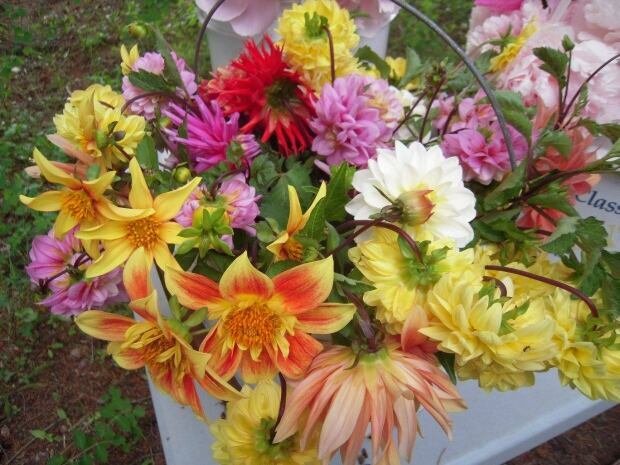 Paul Dumais found a sweet spot by diversifying into dahlias, preserves and starter plants. He said jam sales are through the roof. But even with a produce people want to buy, there is ever-growing competition. Grocery stores push local, organic produce and decorate produce sections with faux barrels and fake wood paneling to lend a farmers’ market feel. “The market dynamic works,” said Wylie Bystedt, president of the B.C. Association of Farmers’ Markets. Bystedt sees grocery stores capitalizing on this trend. Often cheap prices and convenience takes its toll on smaller operations. But Canadians do want choice, and not just in carrot colours. 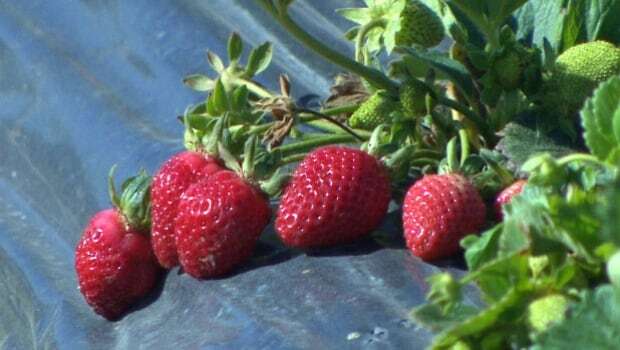 Experts say consumers are questioning the cost of an industrialized food production system that is not set up to help the smaller farm flourish. Farmers are looking for help from various levels of government to help them survive and thrive, but until then they will continue to be slaves to weather patterns and forced to compete with big chains. Just ask Dumais. That fir tree the crashed during the wind storm failed to crush him or his chickens — this time. But there’s always another storm coming. For more information on farming, visit our agriculture page. Agriculture, News Agriculture, BC farms, farmers, farming, food security, local agriculture. permalink.